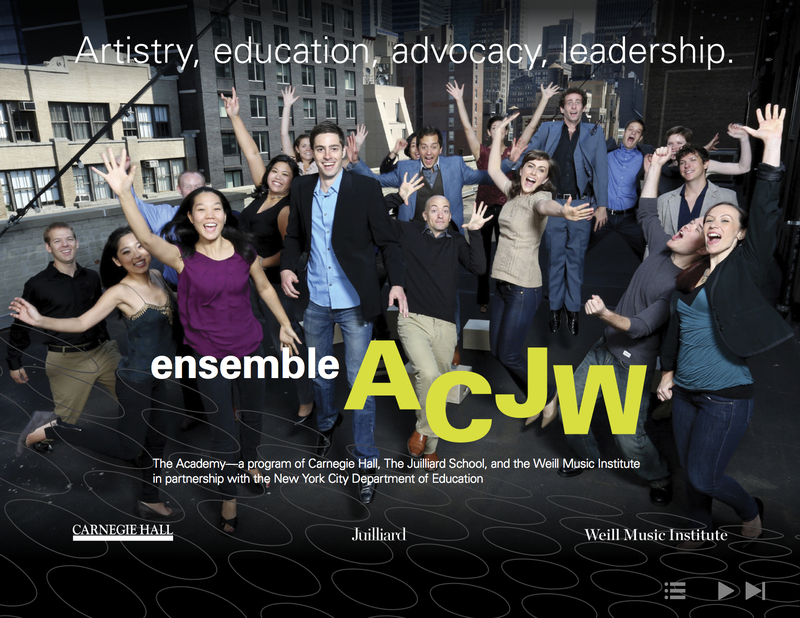 Ensemble ACJW, a part of The Academy — a program involving Carnegie Hall, the Juilliard School, and the Weill Music Institute in partnership with the New York City Department of Education, returns to Skidmore for a musical and cultural residency. Most music students recognize the young and talented performers as those random people who come to music theory class and sit in with the orchestra once a semester. But recently the ACJW collective has begun to spread from Zankel into the community. The fellows will be playing, lecturing, and interacting throughout Saratoga Springs and the Skidmore campus over the next few days (check out the calendar of public events below). My personal favorite? The open poetry reading at Northshire Bookstore Thursday at 7:00 PM. It’s not very often you can pull an Amiri Baraka (RIP) and have your work read with professional accompaniment. So English majors, I highly recommend you put down the Chaucer for a second and stop by. The whole residency concludes with Carnegie Hall Premieres: A Concert by Ensemble ACJW in Zankel Friday night. ACJW never leaves home without a composer and a piece to premiere for us Skid kids, so schedule date night around this. You won’t want to miss it. Besides being some of the most exciting and entertaining musicians in New York right now (that’s right – not just classical musicians, ALL musicians; come at me bloggosphere), they’re wonderful people and enthusiastic performers.